Well, you guys I have been keeping a pretty big secret for a long time… this is a huge project that I have been working on for what seems like forever! Today I am launching an online shop!!! I have been so excited about this project for months! There are so many areas of my business that I was clueless about when I first started my photography business. Now that I have shot close to 100 weddings, I have streamlined so many areas of my business and I’m always so excited to share my tips and tricks with other photographers! There are a few extra special products in the shop that launches today that have really helped me streamline the wedding photography side of my business. You can grab my Wedding Consultation Script, my Foolproof Family Formals Guide, and all of my Wedding Questionnaires for Photographers (build links to each product) that I use within my wedding photography process for each client in the shop today! One of my favorite products in the shop is not actually a product – it’s called an Ask Me Anything session. This product is specifically for photographers looking to implement systems and processes and their business! Or just need some help altogether on the back end of their business! Together we’ll choose a time and day that works for both of us. Then we’ll hop on a call together and talk through any areas of your business that you want to improve. The topics are endless! We can talk about workflows, email communication, phone communication, organization, bookkeeping and accounting systems, social media, or anything else that your heart desires! There are also some great free gifts for you in the shop as well. 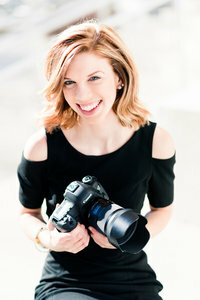 You can grab a free Business Investment Guide, Sample Wedding Timelines for Photographers, and my Inquiry Response Email that I use for brides for free in the shop!!! I am seriously so excited for you to get these tools and put them to use! These are all things that have helped me in my business so much!!! And to make things even sweeter for all of you guys today is actually my 24th birthday and I am giving you 24% off for 24 hours and honor my 24th birthday! So cute right?! Haha! So head on over to the shop there are no discount codes you need to apply! If you have any questions about any of the products please just let me know! I’m happy to help wherever I can!